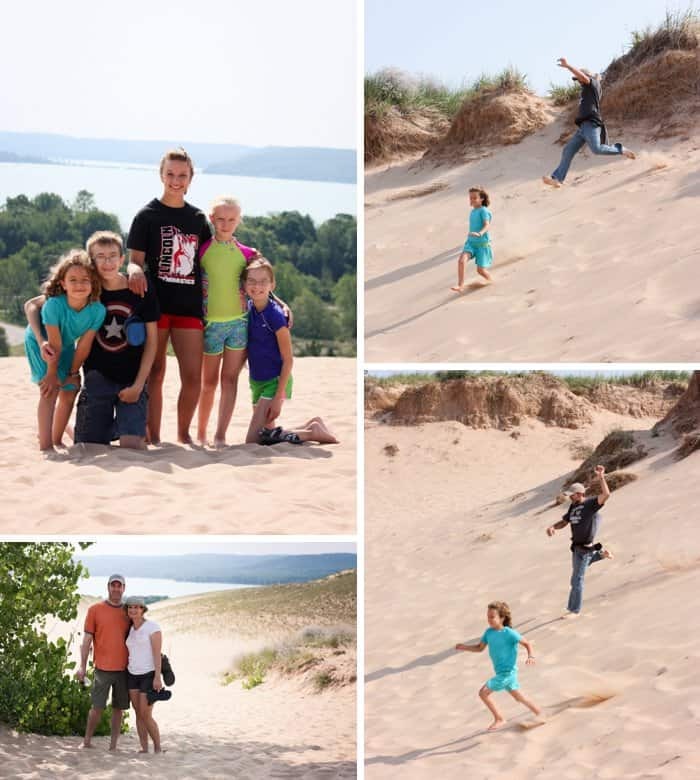 10 Things to Do With Kids in Traverse City Area — Michigan HO! 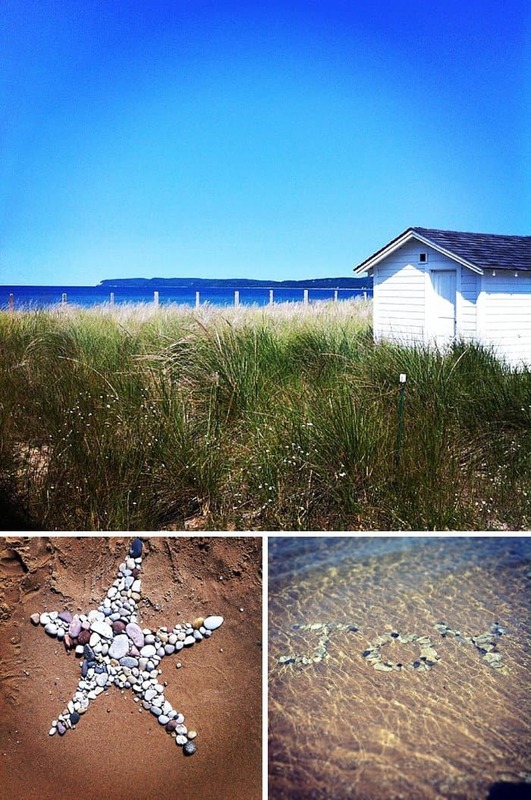 Lake Michigan has unexpectedly beautiful beaches and amazing natural features on their National Park Lake Shores. We spent a week in the area and had a lovely time exploring. 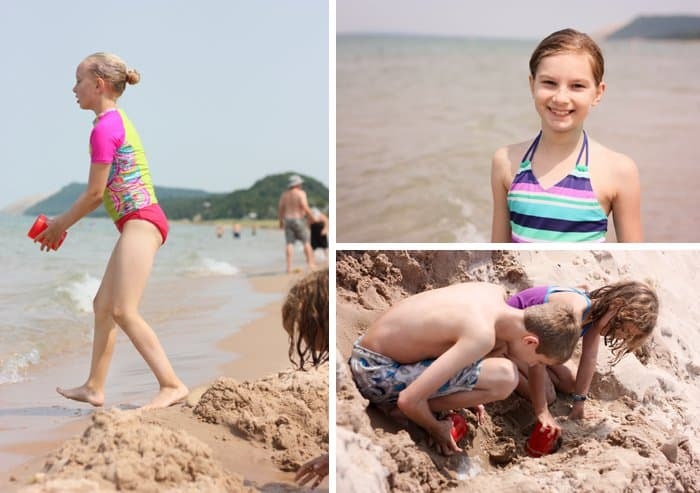 Below are ten things to do with kids in Traverse City and the surrounding areas. Go early in the morning before the sand gets too hot. Otherwise, you’ll burn your feet. Make sure you bring water with you when you walk up. The dunes are deceiving. Be cautious of how far you go in the heat. There are some nice shaded spots at the foot of the main dune. Bring a picnic! We loved shopping inside this rustic barn. There were so many beautiful treasures. 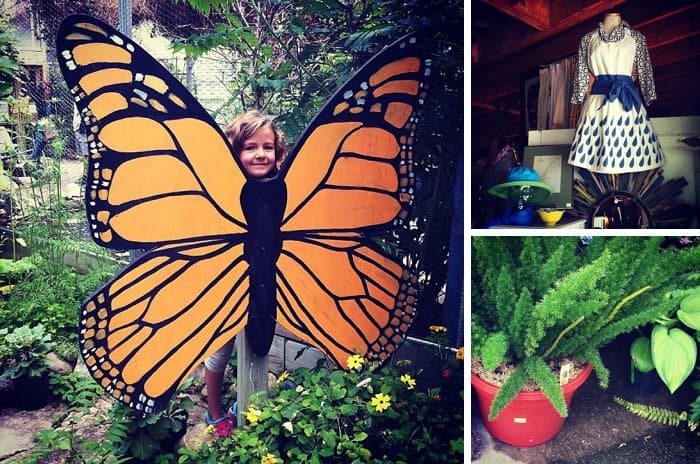 We also enjoyed the quiet kids’ activities, as well as the beautiful plants. 3. 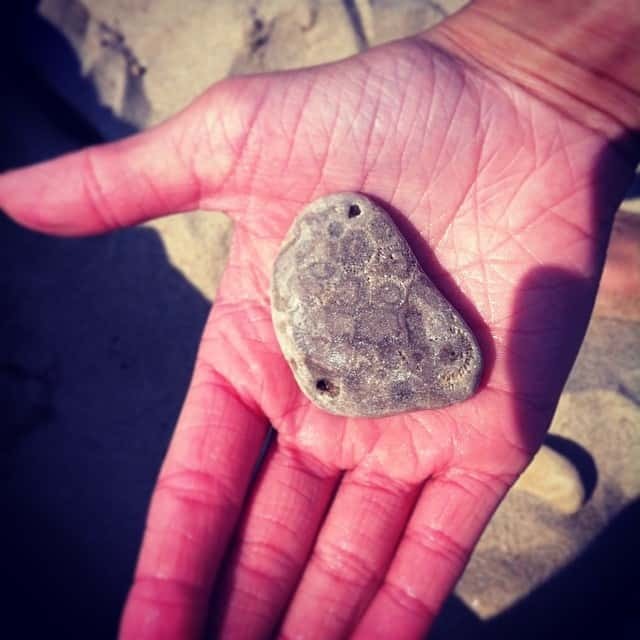 Search for Petoskey stones | Learn more about these local treasures. You can find these prehistoric treasures right on the local beaches. Although, they are fun to collect, please leave them for future generations. When we went in July and the river flow was VERY slow, too slow. We signed up for the longer tubing trip and about half way through I wished we’d done the short one. The best part of the trip was at the end, where the Platte River meets Lake Michigan. Take the short trip and be sure to plan for some beach time at the end! We asked a few locals and they said this was their favorite beach in the area. We loved it! Go right into downtown and you can’t miss it. There is a fee for public parking, but it is worth the small charge. The sand and water are lovely. The kids enjoyed the nice playground equipment, too. When we visited the area we stayed on Platte Lake. It was relaxing. We also attended a few environmental programs being run by the Platte River Campground. They were all a great chance to get dirty and explore the area. Be sure to check in at the ranger station for FREE family events. We really enjoyed this small town. We walked the trails in the area and enjoyed the beach, even though it was a chilly day. I imagine if the weather is nice, it would be great for swimming. The downtown area is quaint and a nice contrast to downtown Traverse City. We spent a rainy afternoon at the Petals & Perks coffee shop playing games. 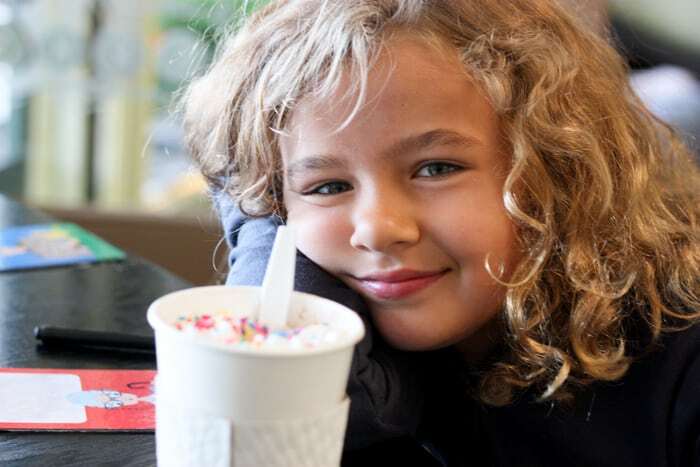 The staff was friendly, the coffee was delicious, and they offer extra sprinkles for bummed kids. Head to Glen Haven for some great interactive history lessons. This area of Lake Michigan is known for ship wrecks. The bay is unexpectedly shallow compared to the rest of the lake. What this means for you? Beautiful sandy beaches, blue water, and lovely scenery. 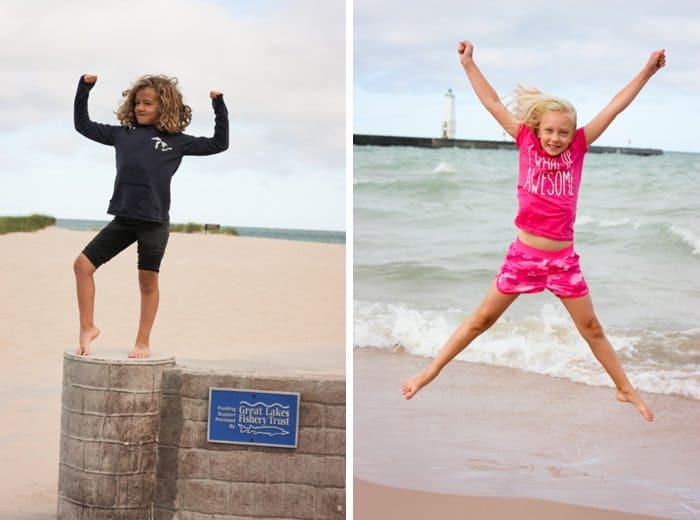 We spent an afternoon in downtown Traverse City with the kids. The shopping was fun and the city is full of art and artist. 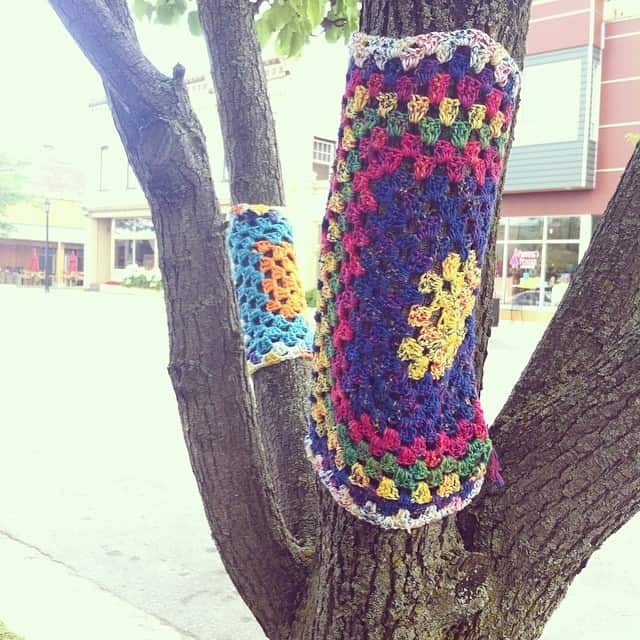 Don’t you just love yarn bombing? While we were in the downtown area, we had lunch at the Blue Tractor. It was recommended to us by a local friend and I would, in turn, definitely recommend it to you. The food was excellent. 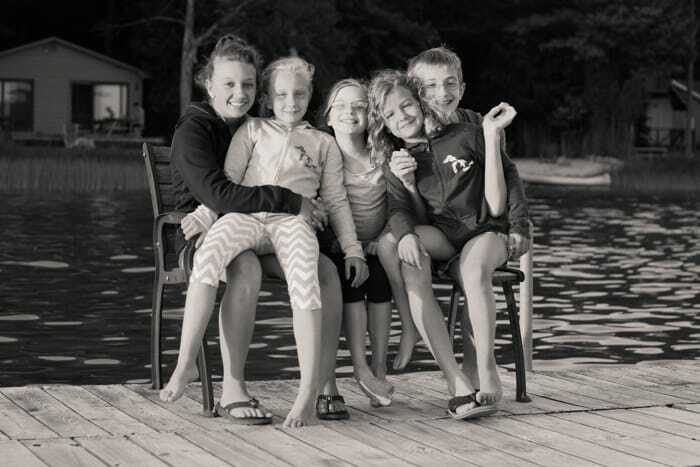 Our trip was really about spending time with family. 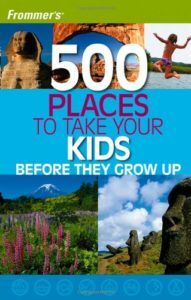 Are you planning a trip to the area? If you’ve got questions, let me know in the comments. I am happy to chat with you about our experience! 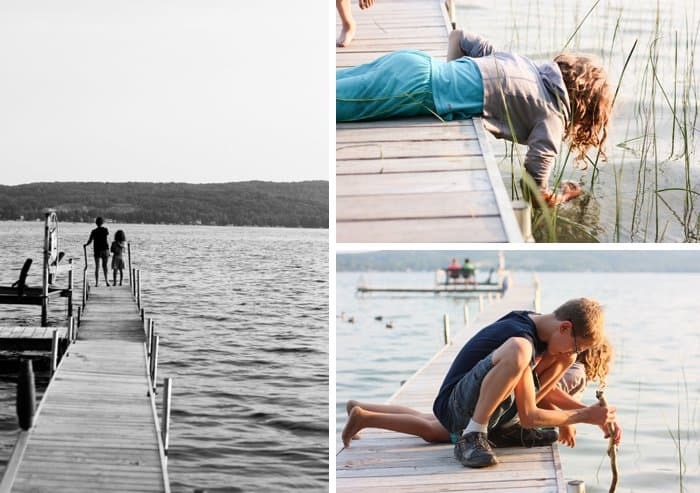 Summer is the magical season for kids to enjoy who visit Traverse City. As it is alive with a lots of fun things, museums, galleries, beaches, beautiful natural scenery and many other activities to enjoy all year ’round. I love summer and beach! so beautiful! Hi! Thank you for this post! We are going in August and trying to decide the best place to stay to visit the beaches/downtown and sandy dunes… any rchance commendations? Thank you! Yeah indeed Great things that you can do with family.